By default, Ubuntu has included LibreOffice as the office suite. For a certain reason, you probably want to install other office suite to replace it. Or you simply want to compare LibreOffice with other free office suites?. 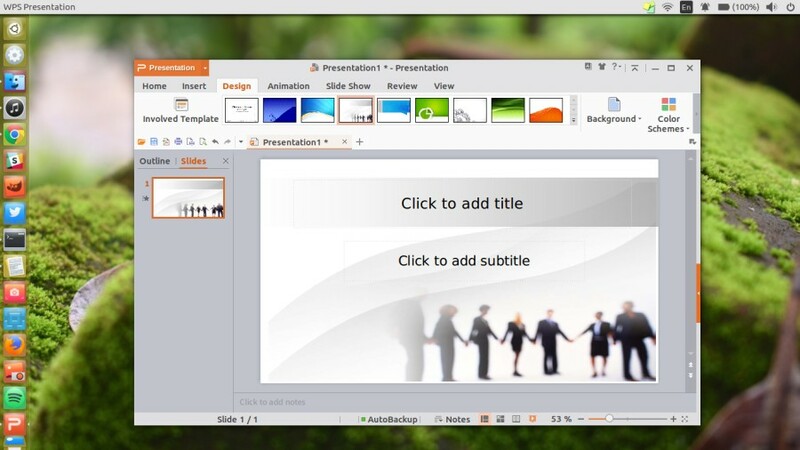 WPS Office is one of other free office suites you can install on your Ubuntu computer. WPS Office is the new name of an office suite formerly known as Kingsoft Office. The name of this software (WPS) is an acronym for Writer, Presentation and Spreadsheets which are the the names of applications contained on WPS Office. Unlike LibreOffice, WPS Office is not an open source software. It’s a proprietary software owned by Kingsoft. WPS Office itself is available in two versions, free and professional. The free version of this software is maintained by a team called WPS Community. WPS Office is a cross-platform office suite, available for Windows, macOS, Linux, iOS and Anroid. For the Linux platform, WPS Office provides three package types; DEB, RPM and also TAR.XZ. If you use Ubuntu, you can download the DEB package of WPS Office and install it using dpkgtool. You can download it on the official site of WPS Community here. Once you got the DEB package, run the following command to install WPS Office on your Ubuntu laptop. If you download other version of WPS Office, replace “wps-office_10.1.0.5707_a21_amd64” and tailor it with file name of your package. Be sure to run the command above from the directory where DEB package of WPS Office is located. The command of dpkg -i will perform two things. First, it will extract the DEB file of WPS Office. Second, it will search for file dependencies. If you get a message error during the installation process, something like “WPS Office depends on ….”, notice those required files (libraries) and install them using APT or Synaptic Package Manager for easier. If you want to know the differences between WPS Office and LibreOffice, you can read our post here.